This Japanese bath is available as a 1200mm or 1050mm square bath with a choice of depths. 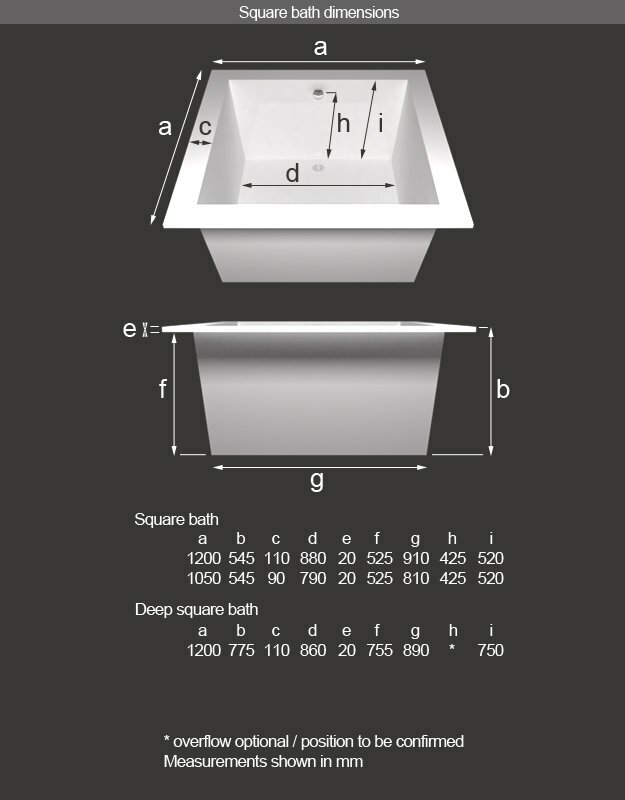 Our deepest bath is 750mm deep and is ideal for relaxed deep soaking. We also offer the 1200mm and 1050mm baths in a shallower depth of 520mm. Please note this Japanese style bath does not include the side panels or steps. 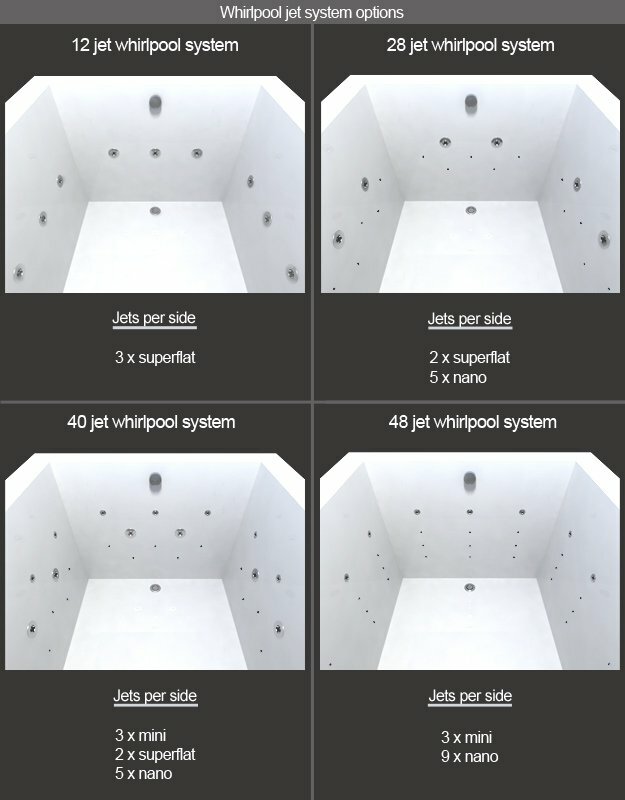 We also offer spa baths supplied with 12, 28, 40 and 48 jet whirlpool systems, with a mix of super flat, mini and nano style jets to special order, with chromotherapy lighting also available on application. * Made of thick fibre resin. 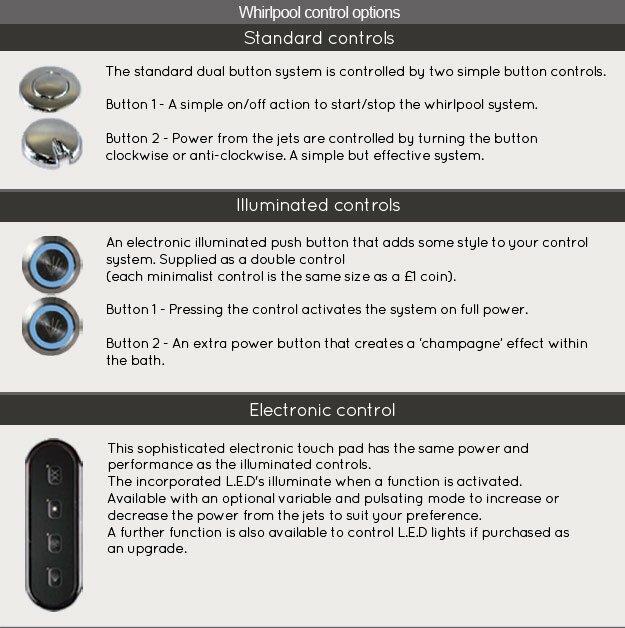 * Whirlpool systems to special order. * Weight approx. 68 kg. * Tap holes are easily drilled.